Most herbal medicines that you'll find in the market will have a hint of ginger powder in it. For centuries, Ayurveda has used ginger root for everything- form treating digestive issues to headaches, but only recently scientists have been able to recognize its clinical and medicinal properties. Dry ginger powder is widely used in the kitchen to add flavor and aroma. Dry Ginger powder is also known as Sonth in Hindi, Sonti in Telugu, Soonth in Gujarati, Suntha in Marathi and Shunti in Kannada. The powder is extracted from the ginger root which is dried. It is a fine off-white or slightly brownish powder that has a strong aroma and a pungent flavour. Easy to store, ginger powder has a long shelf life of about one year. If you didn't know about the many benefits of using ginger powder, here's a good chance to learn. According to Consultant Nutritionist Dr. Rupali Dutta, "Ginger powder has various benefits, especially in Ayurvedic healing. It has anti-inflammatory properties that help improve digestion. It is an exceptional natural medicine used for treating common cold. It has anti-bacterial properties too that help prevent any infections in the body." An upset stomach can be annoying and painful at the same time. Ginger has anti-inflammatory properties that help the stomach to neutralise the digestive juices and further stimulates food digestion and absorption, eliminating the excess gas from intestinal tracts. Dry ginger powder contains thermogenic agents that are useful to burn fat. 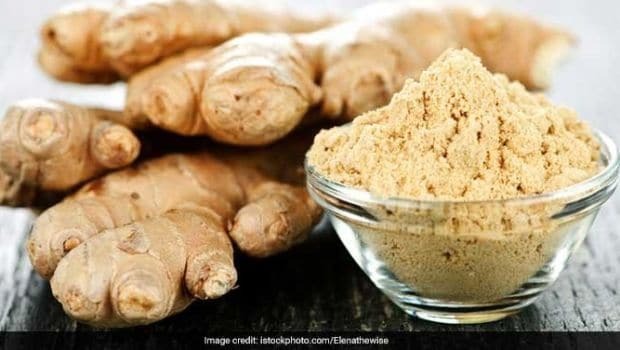 Regular consumption of ginger powder may actually help in boosting your metabolism and burning off the excess fat further helping you lose weight. Make sure to add ginger to your daily diet to aid weight loss. Ginger powder is an easy solution for motion sickness and morning sickness in pregnant women. Ginger powder mixed with water is highly effective in preventing nausea. It soothes the stomach and gives relief from inflammation. So, now you know what to try when you have motion or morning sickness. The anti-inflammatory gingerols and shaogals present in ginger root help relieve common cold. 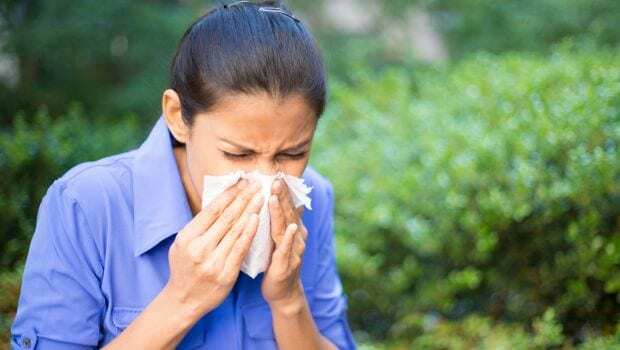 Consuming it with lukewarm water can have immediate effects on cold and flu. You can also mix ginger powder, clove powder and salt and consume it twice a day for relief. Dried ginger powder is commonly used in spices and masalas, curries and stews. Other than adding flavor, adding a pinch of this spice in rajma and chhole masala can help prevent excess gas in the stomach. A cup of masala chai is great for common cold or a sore throat. Mix cinnamon, cardamom, cloves, fennel and ginger powder to make a hot cup of tea. Dried ginger powder is used to add flavour to ginger candies that help in treating flatulence. Did you know ginger powder is used in various face packs to prevent acne and pimples? Its anti-inflammatory properties and anti-bacterial properties help to unclog pores and kill acne-causing bacteria. All you need to do is to mix milk and ginger powder and make a smooth paste. Apply it on your face and leave it for about 15-20 minutes. This mask will rejuvenate your skin leaving you with a fresh and youthful glow. You can also make a toner with ginger powder. Boil two teaspoons of ginger powder in four cups of water. Add a few drops of rosemary or lavender essential oil and mix it well. Store it in a glass bottle and refrigerate. It keeps your skin hydrated and reduces dryness. This humble kitchen ingredient has a lot to offer and so, you must make the most of it.